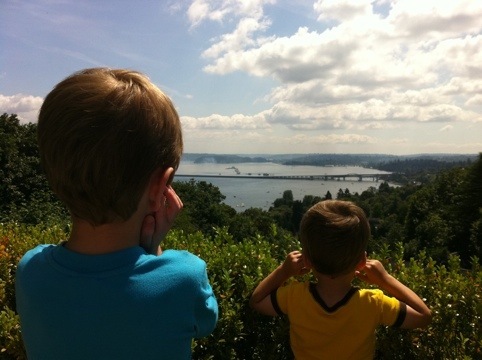 For your viewing pleasure here’s the boys enjoying the Blues over Lake Washington earlier this month. As for the project, i’ve been working on it I swear. It’s really just a 1000 little tasks without much visual payoff so I’ll spare you the pics of pretty countersunk holes in a neat little row. 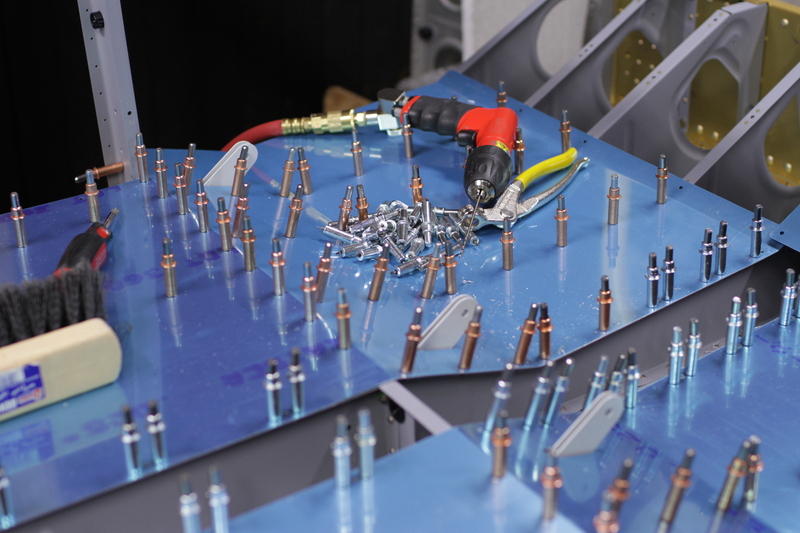 I’m still slowly working through all the final steps before starting the riveting on the main fuse. I’m excited to see if I got a the puzzle pieces made correctly! 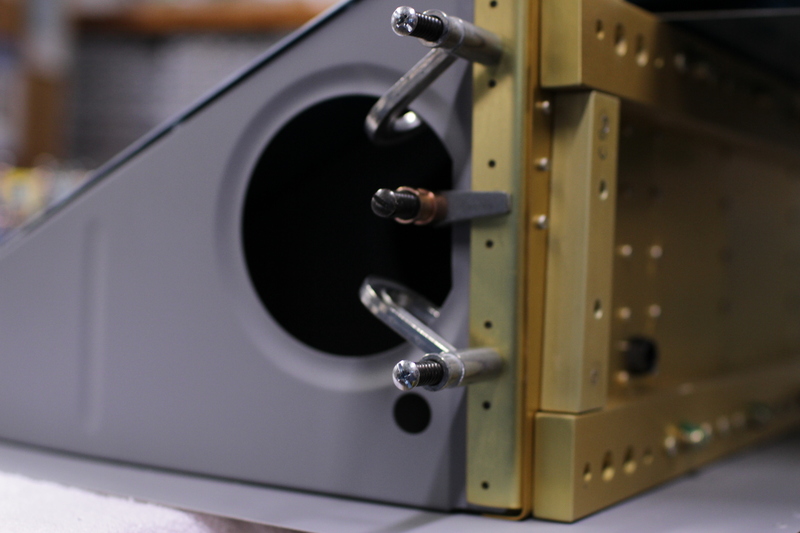 All the deburring, dimpling, and countersinking including the longerons is done on the internal structures. I’ve primed about 2/3 of these parts. The left forward fuse pieces still need to be etched and primed. The skins still need to be prepped but that should be kinda fun as imam trying to “eat my vegetables”‘first. 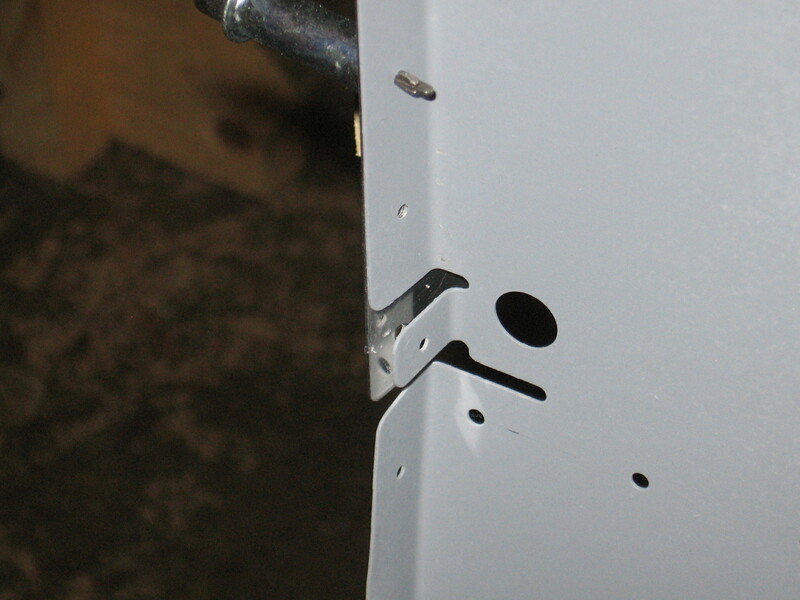 Also, I have to go back and find a solution for one hole I doubled drilled on a bulkhead. After that I’ll be reassembling the canoe! Work is going to take over this week so hopefully I can hit it hard next weekend. I’m aiming to flip the canoe this fall and order finish kit before the end of the year. At the risk of offending the neighbors Paul came over last night for an evening of riveting. 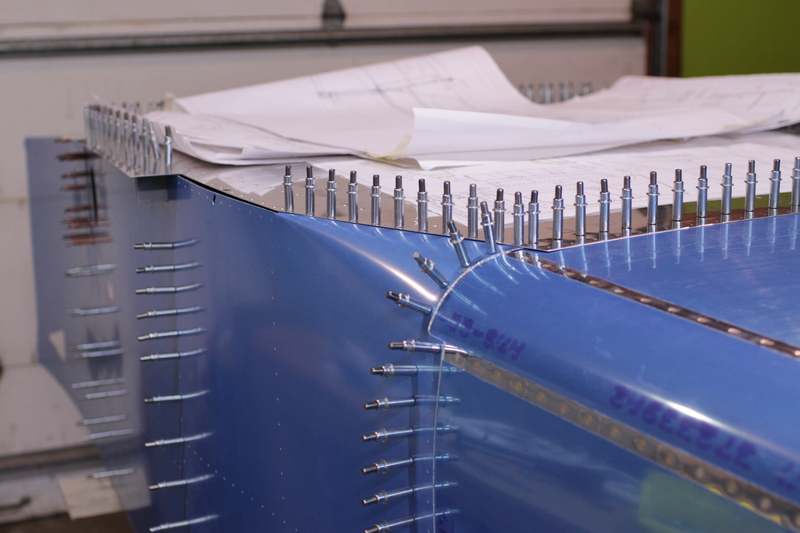 We made pretty quick work of the rest of the center section skin rivets so I can move on to assembling the rest of the fuselage. I ended up dodging the neighbors phone call, but we did manage to piss off my three year old who told mommy to “make the noise stop!” Oh well I hope you can forgive daddy Cam once you get to fly with me! Wow. I can’t believe it’s been almost a month since the last update. I had some work travel and late nights that ate into building time. Today, my friend Ryan came over to help on the center section riveting. This was his introduction to riveting although he’s been flying with me a number of times when I was still renting the Skyhawks and Cherokee. We finished all the seat ribs and the 705 bulkhead. 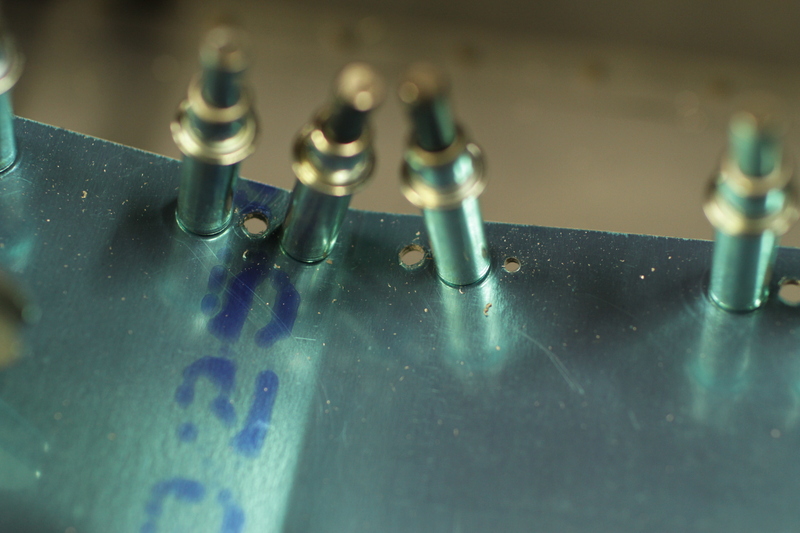 No rivets needed to be drilled out and Ryan did great to avoid leaving any smiles in the skins. We had to leave the baggage rib riveting till next weekend. 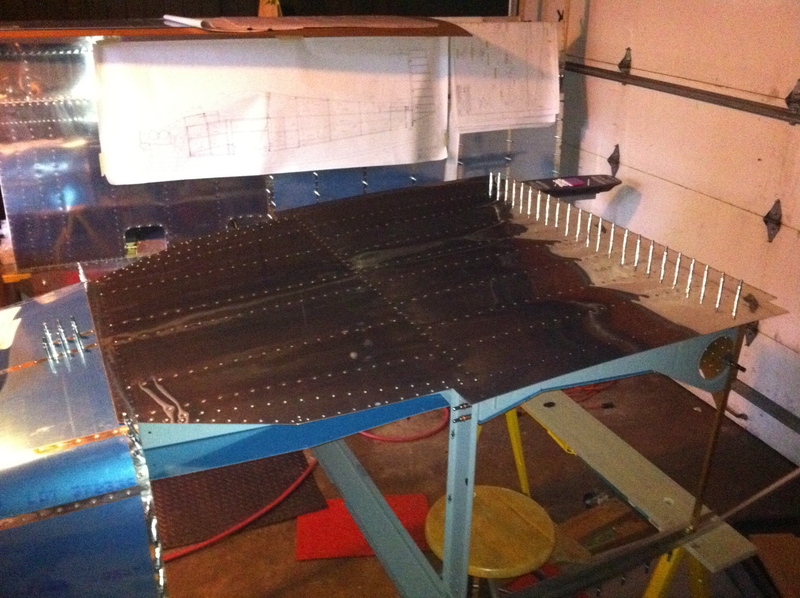 I’ve also made contact with a local EAA Tech Counselor to come look over my progress later this month. Looking forward to having some expert eyes on my progress and correct any bad habits. 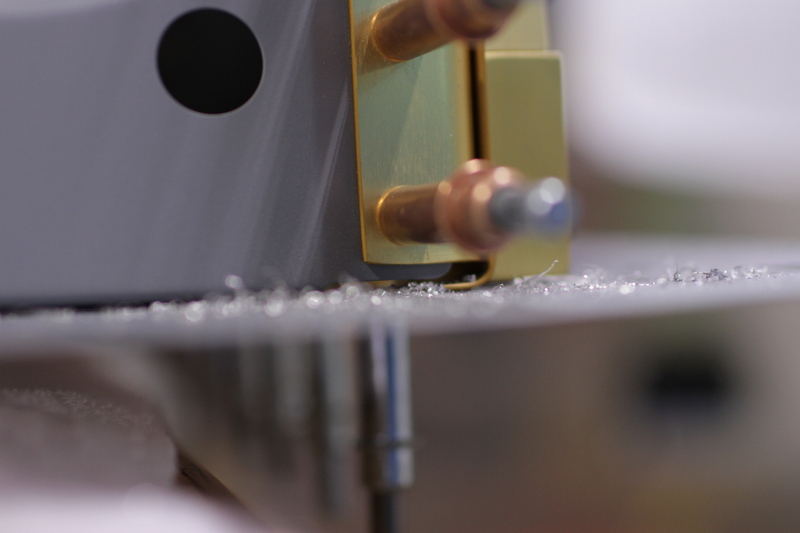 I’m also including some pics of notching the longeron because they were still on the camera when I downloaded today’s pics. 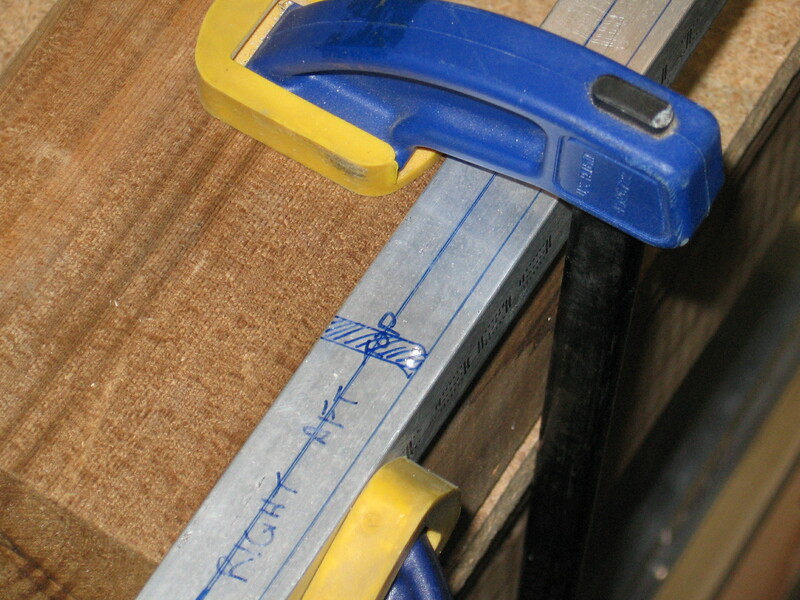 The picture above shows the notch marked and the punch marks for drilling the radius holes. 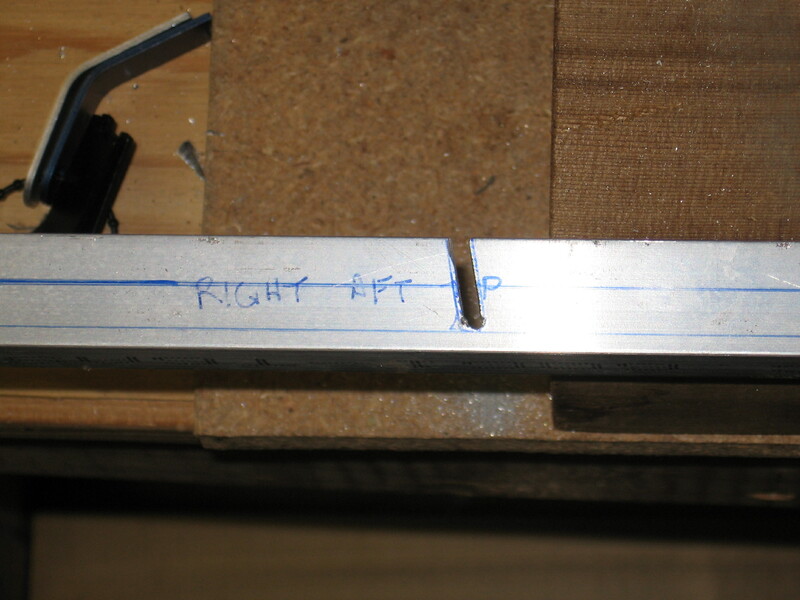 Here’s the notch after drilling and roughing out the rest of the notch. After filing it was ready to go. 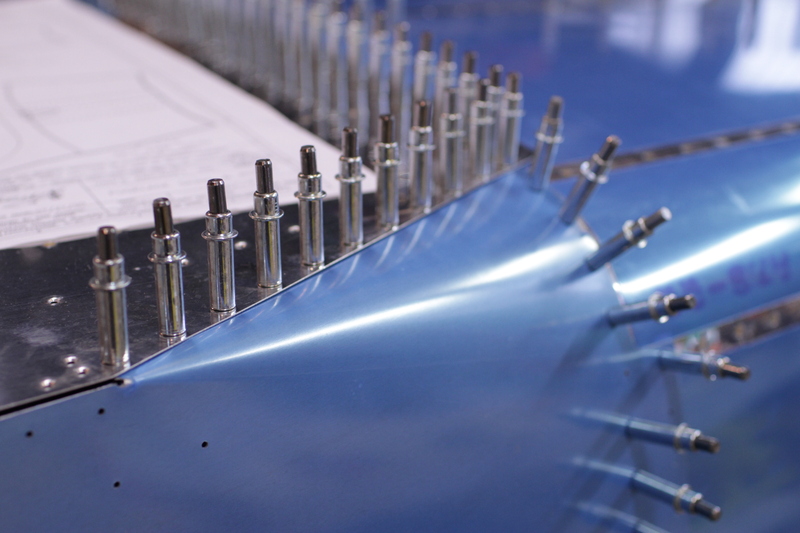 The longerons are now in position waiting to receive the rest the of the fuselage pieces for final drilling. No pics to post tonight, but a quick update of progress for the week. 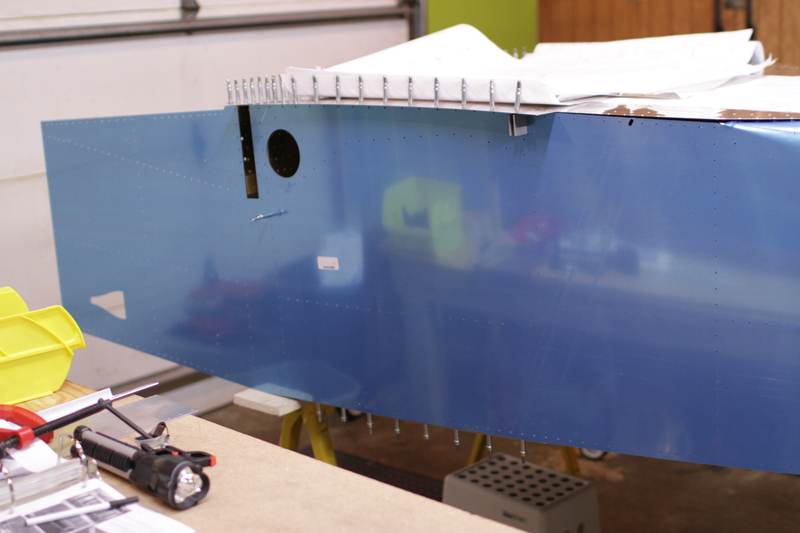 The longerons are now notched and in position on the fuselage assembly. Everything looks well aligned. I’ll know more when I get the side skins attached soon. 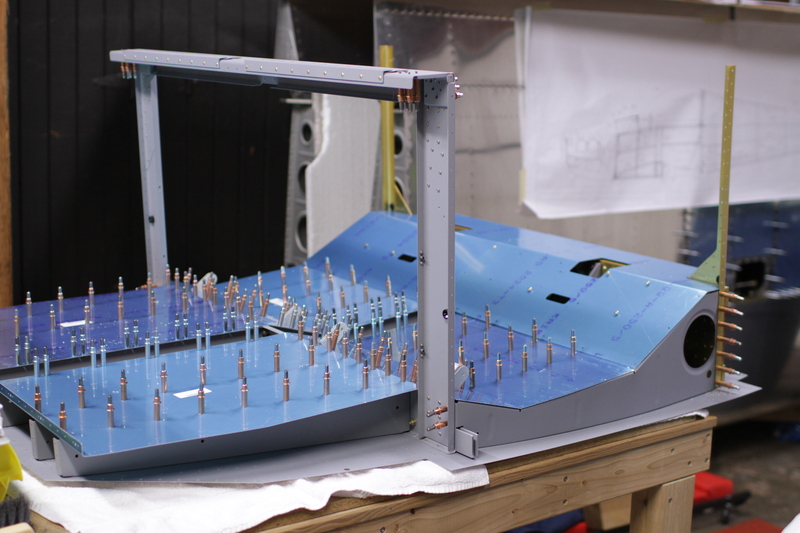 I also went back and prepped the rudder cable egress in aft fuselage. The hex screw dimpler from Avery’s worked perfectly here. 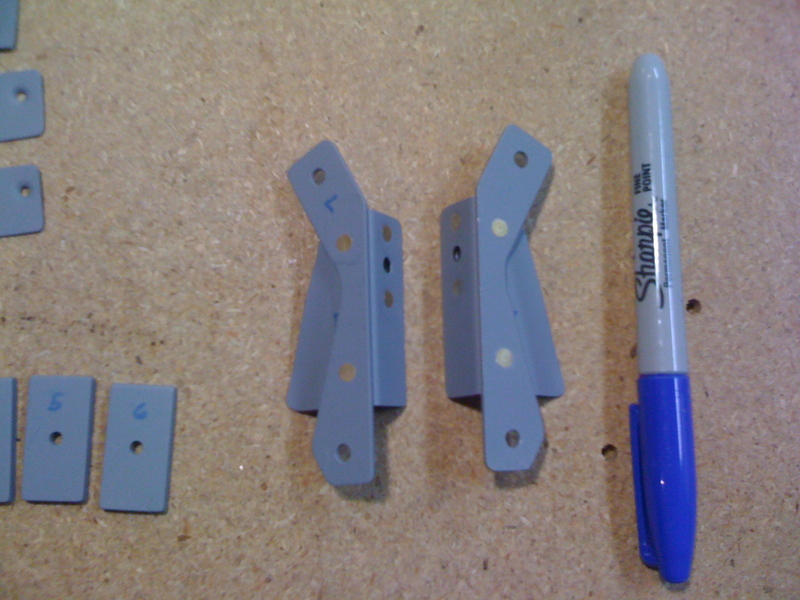 I also started collecting and roughing out the pieces for the forward fuselage assembly and misc. parts prep. This boring stuff will continue until I can get the center skin riveted. And of course I screwed it up. The hole got elongated pretty good. I ended up drilling out for an AN3 bolt as shown in the pic above. The edge distance is pretty tight but I think it’s barely in spec. I’ll point this repair out in my tech counselor visit just to be sure. 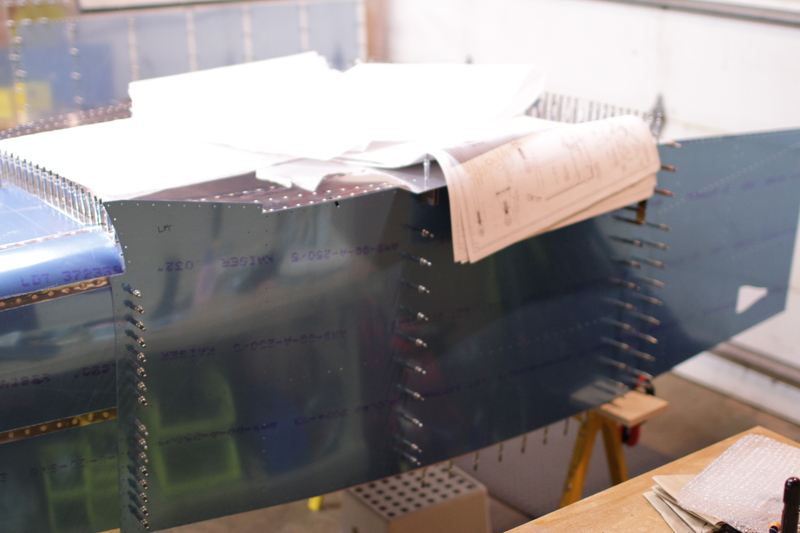 Those longerons I made many moons ago are about to be assembled into the fuselage. Ahead of that I need to notch them. Two big bars of aluminum stick out here. 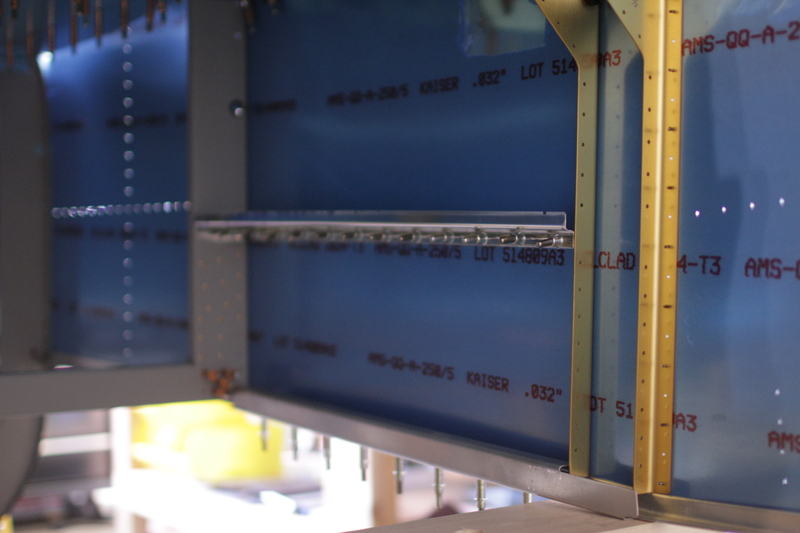 The horizontal stabilizer will get attached to the bars. Overall I made pretty good progress this weekend. Lots of big pieces getting put in place quickly. 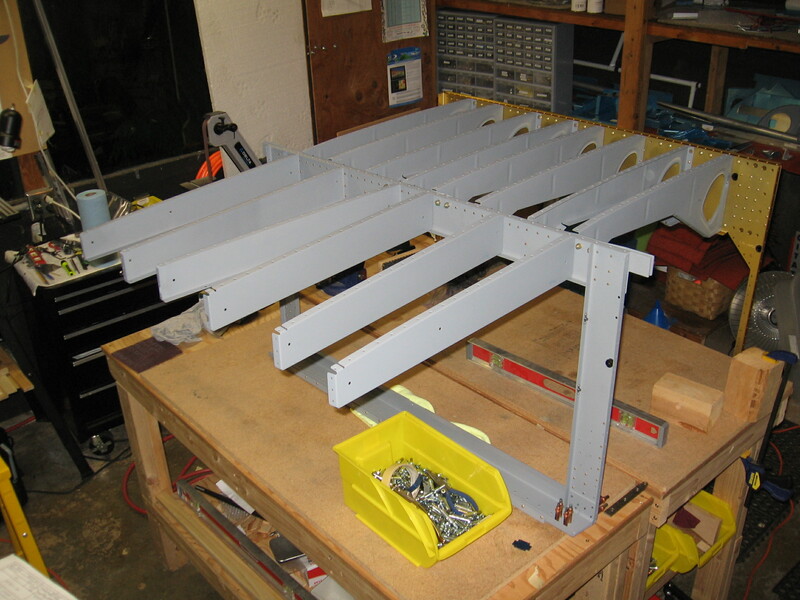 The final assembly of the center section took a few steps forward this weekend. 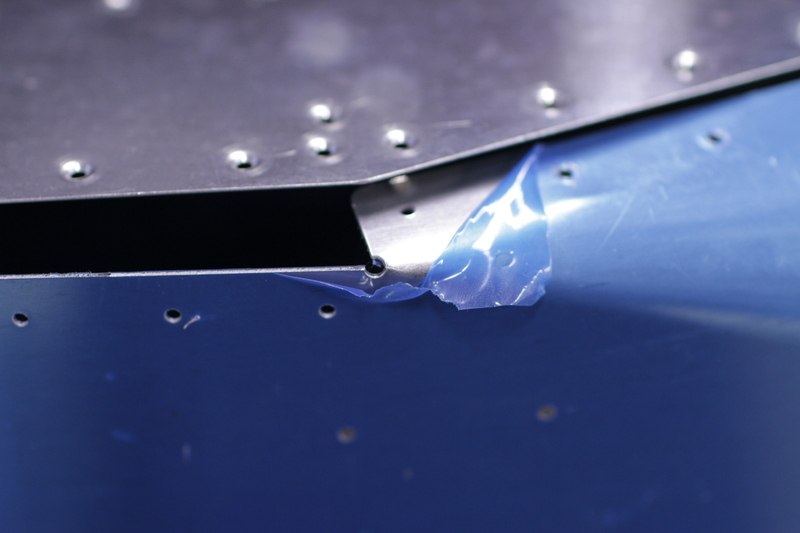 The seat ribs/705/baggage ribs interface is now riveted. The central ribs were very challenging to squeeze. 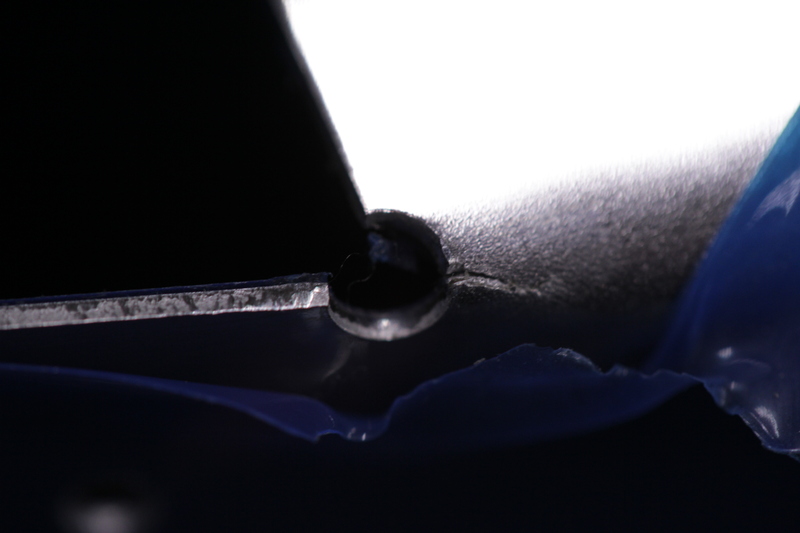 In fact, I have one questionable rivet that might need to be drilled out. 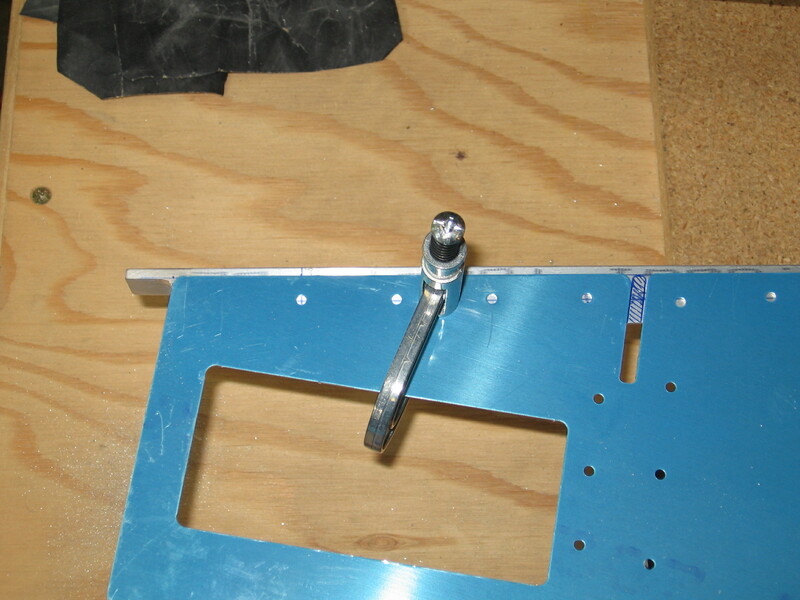 The nutplates for the seat ribs were installed as well. 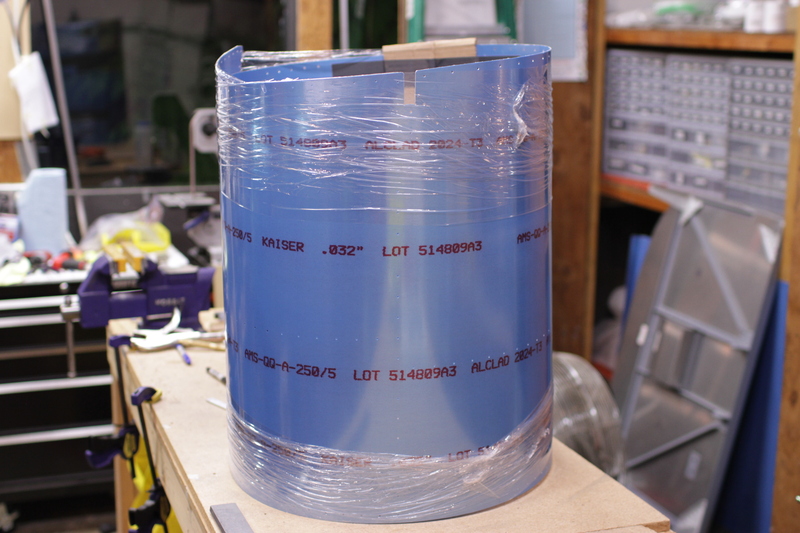 The only thing holding me up is etching and priming the 776 skin before riveting it to the skeleton. 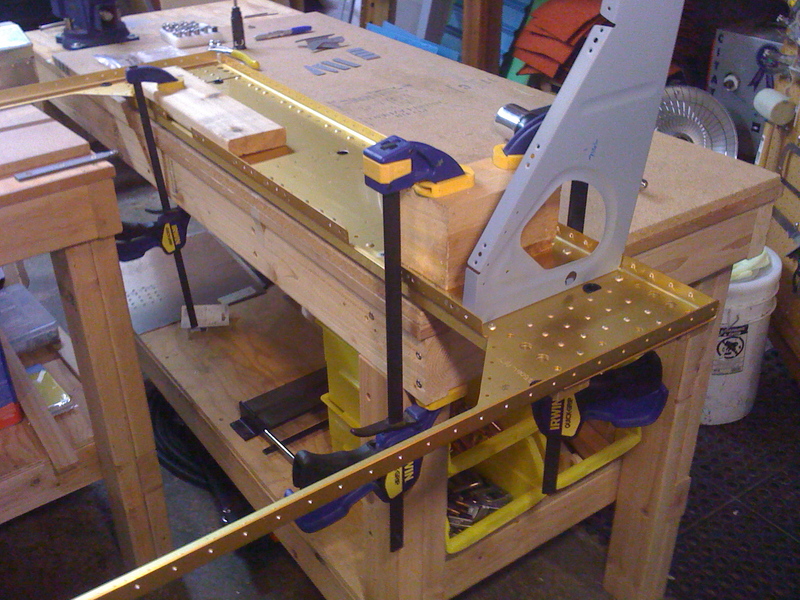 The weather wasn’t going to cooperate today to do that, so I decided to work on other details in the shop. 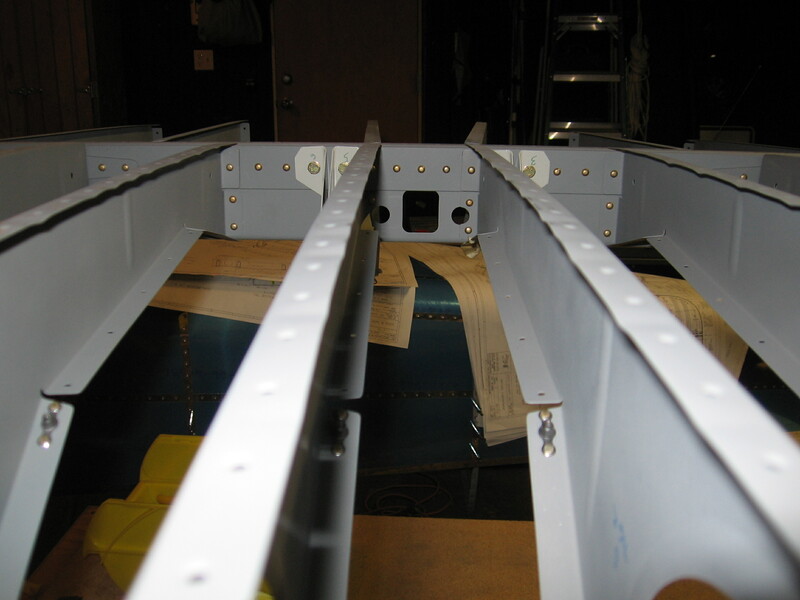 Here’s a view down the center two seat ribs looking at the 705 bulkhead. The top rivets on each vertical row (the skeleton is sitting upside down so its the bottom rivets in this photo) were the difficult ones. 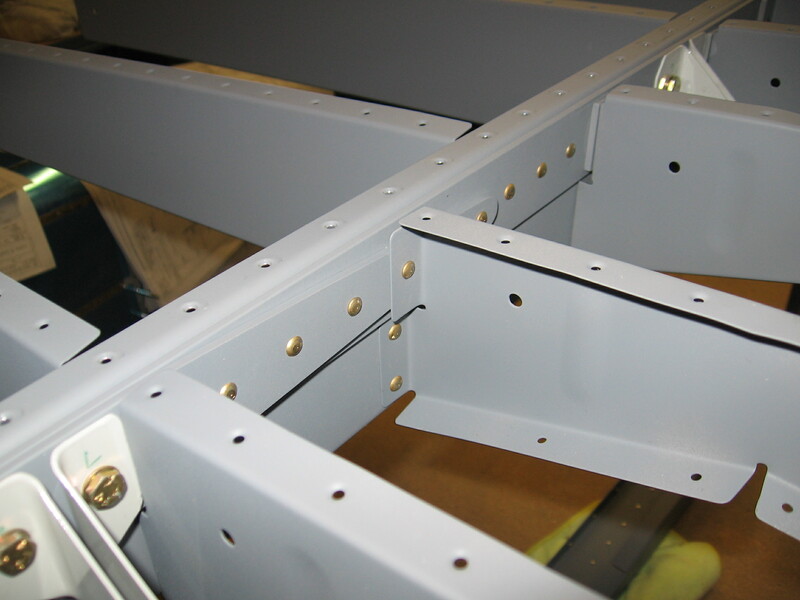 This is a detail of the 705 bulkhead with seat ribs and baggage ribs attached. 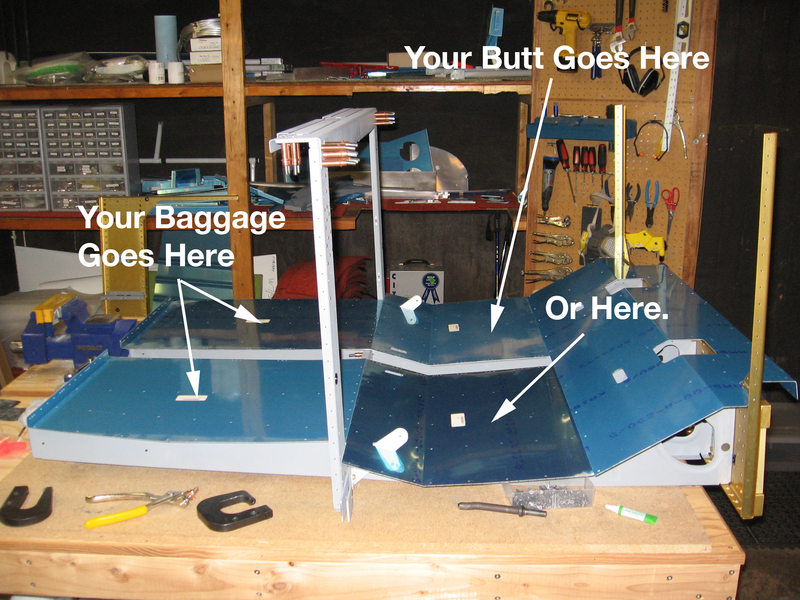 The center section is wider than the sawhorse plus I wanted a larger, softer surface for the whole fuselage to rest on upside down. 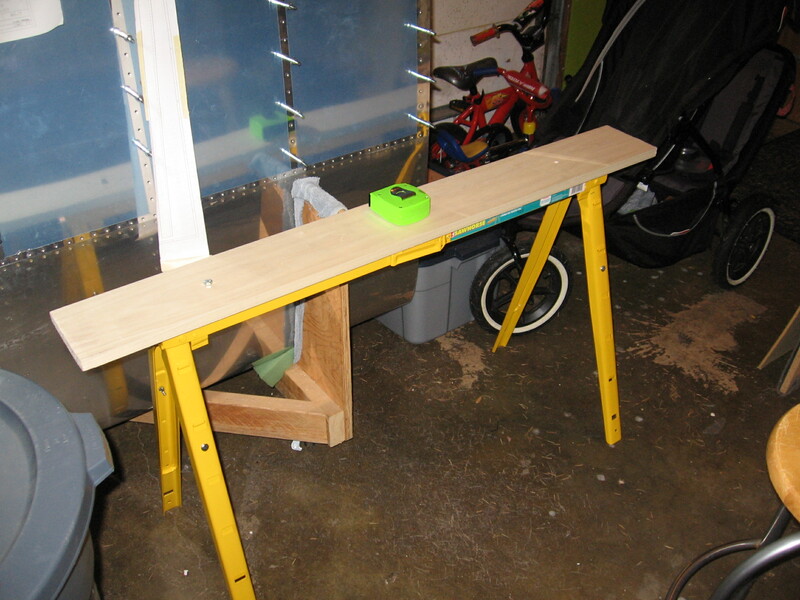 In preparation for attaching the center section to the aft fuselage, I made some wood spans for the stock metal sawhorses I’ve been using. 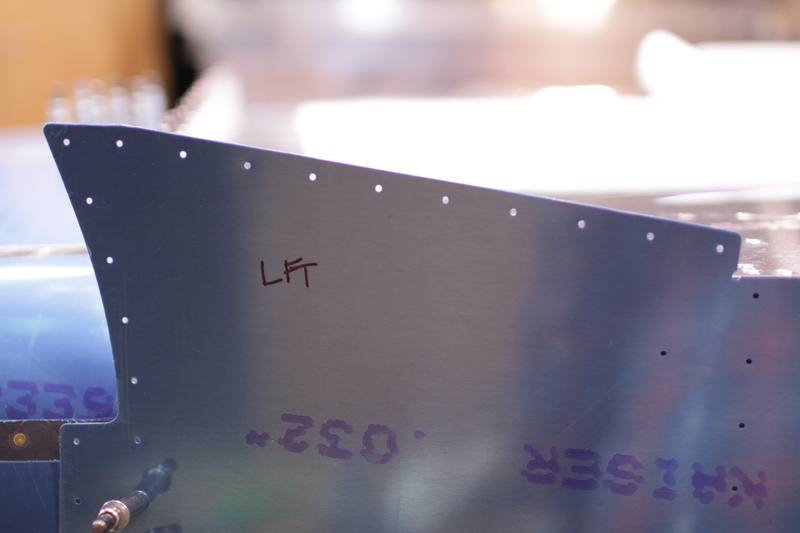 Another detail I need to prep are the slots in the bulkheads that the longerons slip into. I should have done this when I was prepping the bulkheads but I missed it. 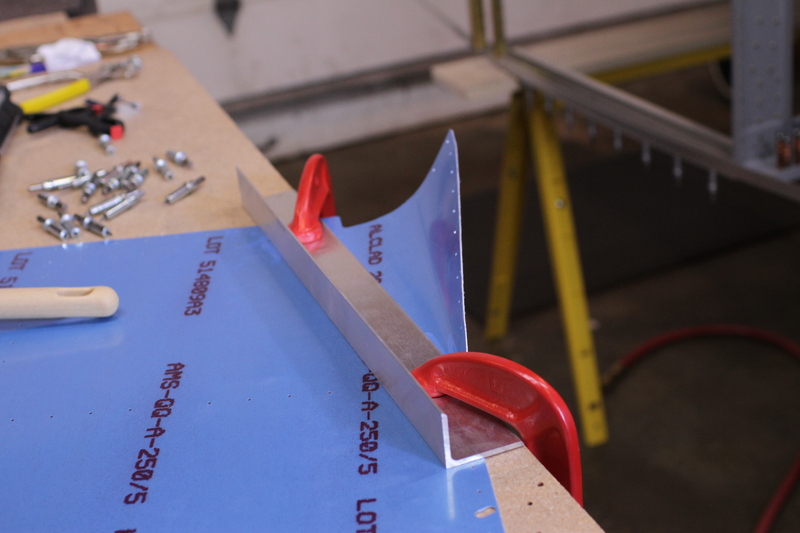 I just need to run a file over them to open up enough to have the longeron angle slide in without forcing it. Ok for the rest of you that stayed, here’s a cheat sheet to what exactly the center section is relative to your anatomy. Enjoy! Here’s a quick project update sans pictures. We headed to the Cascades for Friday and Saturday nights hoping to find some good sledding for the boys. Surprising we didn’t really find good snow, but we had a grand time none-the-less. Obviously not a lot could get done on the project. 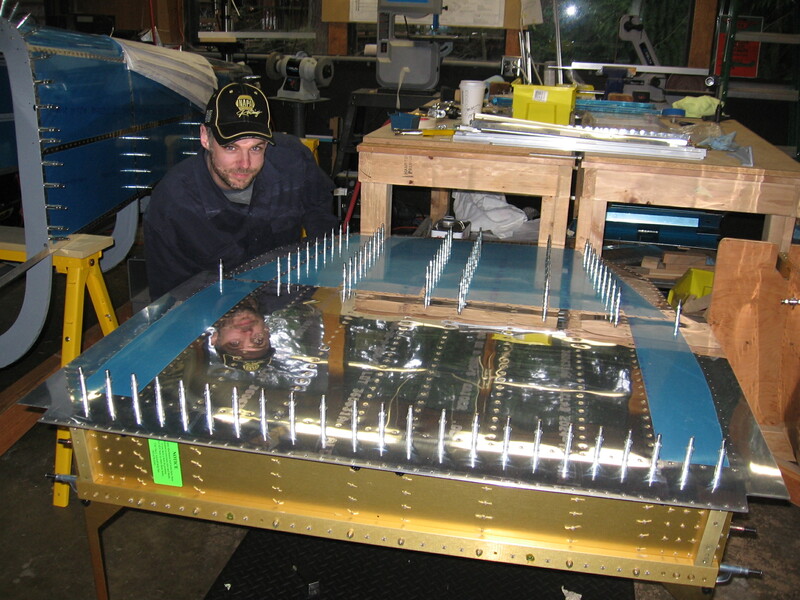 I did manage to arrange for a another visit from Paul to help me with riveting the 716 ribs to the aft spar bulkhead. We did nave to drill out one rivet. 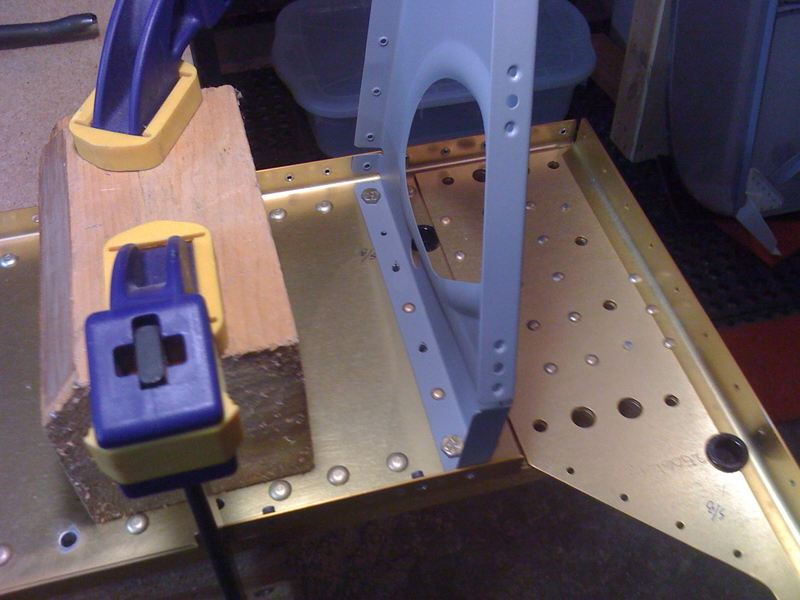 I started attaching the 705 bulkhead to the back of the seat ribs. The 2011 resolution is to put in at least one hour a day. So tonight even though I’m waiting on some riveting help with the ribs, I did keep inching forward. 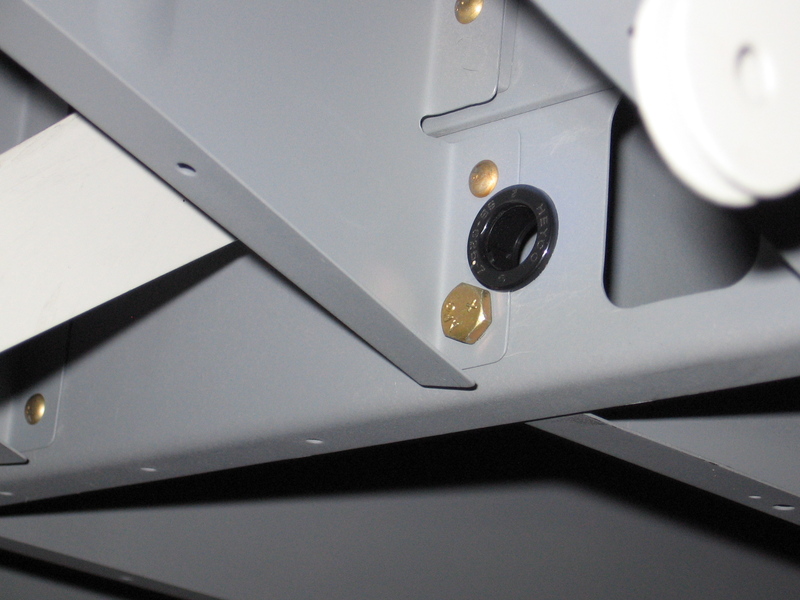 The control column access plates are simple two piece units with a nut plate on the flange for the floor attachment. I also played around with how to jig up the 704 bulkhead so we can set those -4 rivets and not mar up the ribs or bulkhead web.